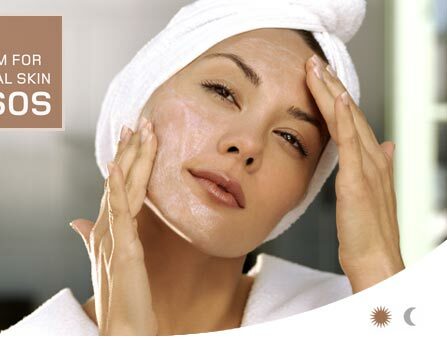 Apply to face every morning or as prescribed by your Certified SOS™ Skin Correction Specialist. Effective on all skin types. 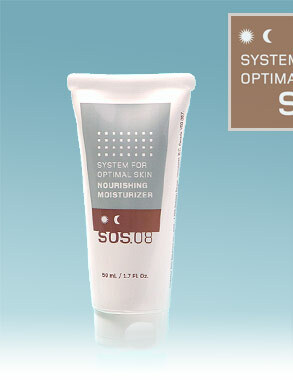 A revolutionary new skin rejuvenator and fortifier, SOS™ Nourishing Moisturizer combines the ultimate repairing effects of Super Oxide Dismutase Liposomes and the healing antioxidant effects of Marine Lipoic Antioxidant Complex™ with Magnesium Ascorbyl Phosphate - a uniquely stable and bio-available form of Vitamin C. The synergistically stimulating Glycolic and Lactic Acids also encourage cellular turnover and renewal, helping to repair aging and damaged skin.